Ellen Briggs is my wife. I could not have a links page without puting Ellen at the top. My wife is a stand up comedian amongst a million other things. You can reach her web site by clicking on the image. 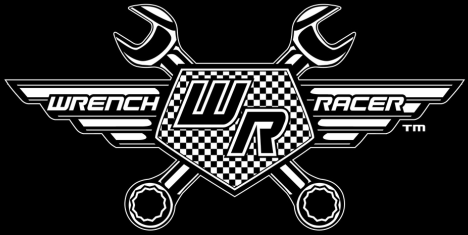 Lauren Vickers is a friend and Wrench Racers female model of choice. If you want Lauren as your model you will not only get great photos you will also get an easygoing, hard working and professional woman. Click on her photo to head to her site to make a booking or learn more. 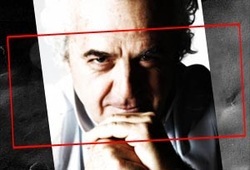 Gigi Soldano is a photographer who is responsible for many of the photos here. He has been involved as a team photographer for much of my time at Yamaha and also Ducati. His website can be found by clicking on his photo. Some of Martin's photos apear on this site. So please ask me if you would like permission to use any. Some people like Martin make their living from shooting cool pictures for us all. If you need to contact him just click on his photo. ANDREW NORTHCOTT is another photographer who has helped me out from time to time and some of his work apears on this site so please ask me if you want to use a photo, or if you need some sports photos, contact Andrew by clicking on his photo. This is Andrew Wheeler and he is a professional motorsports and motorcycle racing photographer based near Laguna Seca on the Central Coast in Capitola, California, and is a good fella and helped me out with some of the photos on this site. He covers the MotoGP circuit. Arcade Headware is a company started by friends of mine and are the makers of Wrench Racers quality hats. Click on their image to head over to their site. Miguel from Autograph collectables is the only place I can recommend for 100% authentic signed merchandise. He has helped me with many charity auction pieces and I have been involved with a few signings with the riders I have worked for. Marc sent me a few photos from Assen so this link is to say thanks. 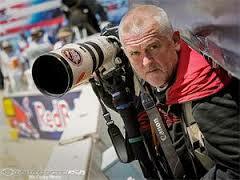 MZ AutoSport Media was founded in 1999 by motorsports photographer Marc Jans. Our agency is based in Assen, The Netherlands. Only a few miles from the historic Dutch-TT Circuit, also known as "The Cathedral of Motorycling".